Home / Medical Cannabis Guide / What is Medical Cannabis and How Does It Work? The Oxford Dictionary defines medical cannabis as “marijuana as recommended by a doctor in the treatment of a medical condition.” However, to this day there is still no singly agreed upon definition. The most common elements of the cannabis plant used for treatment options include the flowering tops and the root. The use of cannabis for medicinal purposes is widely debated and still illegal at the federal level. Many states though have passed laws allowing for its use, and many more are catching on in light of its benefits. The cannabis plant has been in existence for thousands of years and it grows wild in temperate and tropical regions. 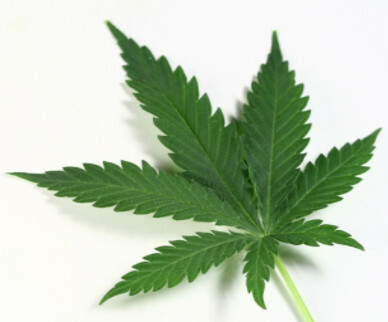 Its most common form is cannabis sativa, with the other two varieties being C. indica and C. ruderalis. Centuries ago, humans discovered the plant offered many treasures to humanity, from the use of the stalk and fibers in textiles to the healing powers of its flowers and roots. Today, many people refer to the plant either as hemp or marijuana, depending on its use and the strain. Cannabis falls under the Controlled Substances Act at the federal level. However, medicinal cannabis use is controlled by the individual states, and federal lawmakers say they will not prosecute caregivers or patients following their resident state guidelines. Cannabis has been used in its various forms for tens of thousands of years, both recreationally and medicinally. It has been smoked for spiritual awakening, used as a poultice for burns, and people from all walks of life and in all socio-economic statuses utilize the herb for general health and pain relief. In fact, cannabis was only demonized and illegalized in the last century. In a time when over 100,000 people perish from legal prescription drugs each year, more individuals are turning back to the roots of our ancestors, seeking out more natural treatment options that don’t hold the dangerous side effects of the mainstream medications of today. There have been no deaths associated with cannabis ever, according to Dr. Lester Grinspoon, professor emeritus at Harvard Medical School. Research is backing up what those who have used medical cannabis for years already know – that it works. Cannabis used in a therapeutic or medicinal capacity is becoming accepted back into society. What is in Medicinal Cannabis? There are at least 66 unique therapeutic compounds found in the chemical composition of the cannabis plant known as cannabinoids as well as numerous terpenes, flavonoids, and other constituents. Five of these cannabinoids are particularly effective at treating illness by binding to receptors in the body and thereby producing pharmacologic effects. The effectiveness of cannabinoids is most apparent in the immune system and central nervous system. Different strains of the plant are bred to achieve the greatest healing quantities of these compounds in each particular strain. CBC – Cannabichromene enhances the effects of tetrahydrocannabinol (THC). This duo acts as an analgesic, anti-inflammatory and sedative. CBD – Cannabidiol is unique in that it reduces the psychoactive effects of marijuana. Strains with high THC levels that also have high levels of CBD will not have as much of a mental effect as those with just high THC. High CBD strains are particularly useful for those suffering intense physical ailments. It is anti-convulsive and anti-schizophrenic, effective at reducing pain, nausea and anxiety, has sedative properties and may even stop cancer from spreading. CBG – Cannabigerol is sometimes referred to as the “father” of cannabinoids. It has no psychological effects on the user and is found in smaller amounts in most strains. It is an antimicrobial and anti-inflammatory compound that is effective at lowering eye pressure and is, therefore, useful for glaucoma patients. It is also an efficient sleep aid and sedative. CBN – Cannabinol has less psychoactive effects than THC, but is otherwise similar. It is an effective analgesic and anti-seizure compound that, like CBG, is also useful in treating glaucoma by decreasing the pressure in the eye. THC – Delta-9-tetrahydrocannabinol is the most widely known of the cannabinoids. It is an anti-depressant, anti-epileptic and anti-inflammatory, lowers blood pressure and can help overcome nausea. THC is also effective in inducing apoptosis (cell death) and has been used in targeting cancer cells. Researchers continue to learn more about the efficacy of the cannabis plant and its different compounds and methods of delivery for medicinal purposes. Modern patients and doctors alike are turning to this plant for its healing properties, and we can only hope that the laws allow for its continued and future widespread use.